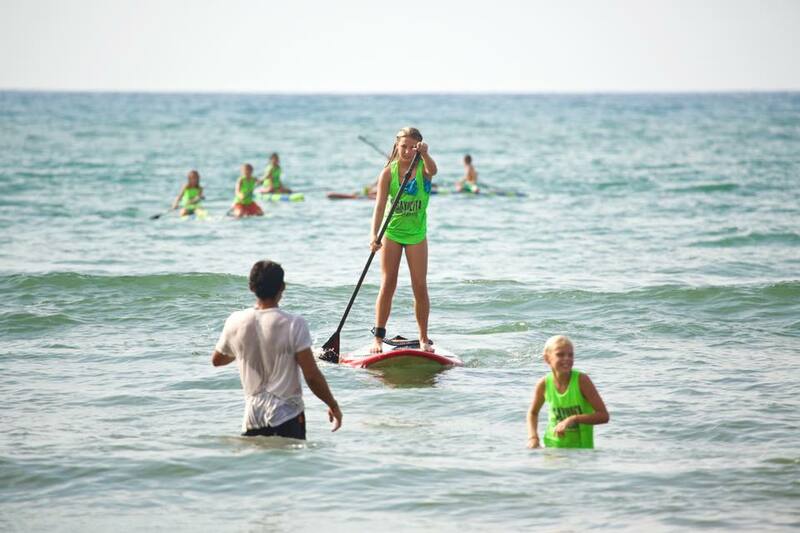 About 50 kids in Sayulita are being trained in SUP and Paddleboard, in fact, they already have an invitation to participate in the 2017 World SUP Junior Championships. National SUP “pick” Javier “Bicho” Jiménez and professional paddler and surfer Shelby de la Rosa Taylor founded the Sayulita Jr. SUP Team, a program for children and youths in the Riviera Nayarit’s Capital of Surf in order to encourage new champions in Mexico. The program includes physical training in the water and on the beach, plus lessons in technique, yoga, nutrition and everyday values such as respect, dedication, perseverance, fellowship, sacrifice and love, among others. The kids must maintain high academic grades in order to be part of the team. “We also teach them how to read the ocean, to swim, and surf so they can be smart and sure of themselves, as well as help others when they’re in the water,” said Javier “Bicho” Jiménez, Mexico’s SUP sub-champion of the world, who will be training the kids and youths as he prepares for the 2017 World SUP Championship, where he has already secured his place. And even though the Sayulita Jr. SUP Team is very new, they have already been invited to participate in the 2017 World Junior SUP Championship. Click here for the team’s Facebook page: https://www.facebook.com/JRstandupmex/?fref=ts. Shelby and “Bicho” are training around 50 kids between the ages of 6 and 16. The co-pay for each child is one thousand pesos per month and they train three times a week. There’s a sponsorship fund created by local businesses and companies in order to help talented kids with limited resources. There’s also an Internet fund established to help these promising SUP athletes in Mexico. If you’d like to learn more about this, please visit: Www.gofundme.com/sayulitajrsupteam.